How can I contact a DNA match? In case this person’s DNA is managed by someone else, you will be able to contact the DNA kit manager instead. 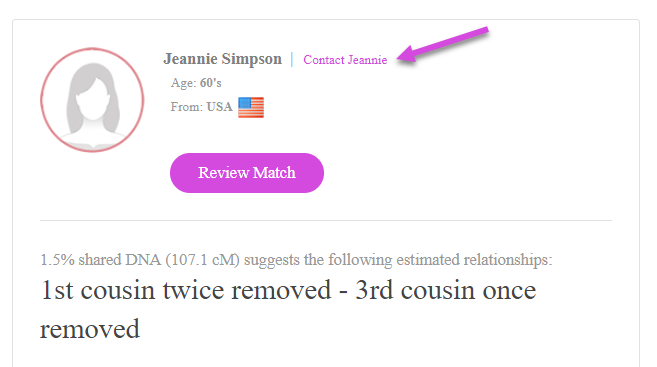 If the DNA match has a MyHeritage account, you will have the option to contact either of them. You can also find the Contact button at the top of the Review DNA Match page and on the weekly DNA Matches email notifications. Contacting DNA matches is free for all DNA users.